2 and 5 screen for 1 in the lane. 1 cuts through to the corner. 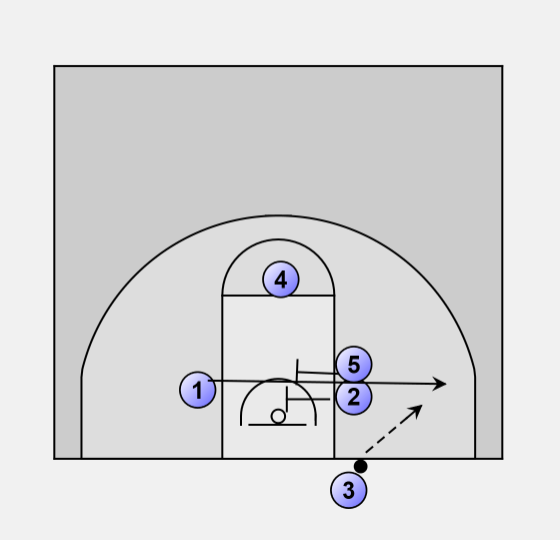 4 sets a downscreen for 2 who rubs off of 5 to get to 4's screen. 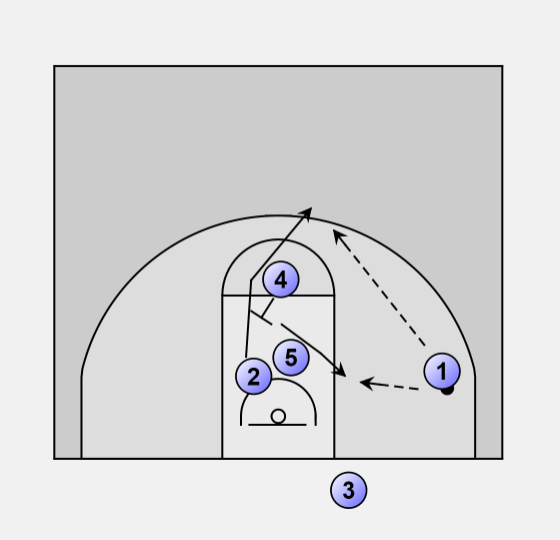 4 slips off of 5 after setting the screen to post up. 1 looks to 2 at the top of the key, then to 4 posting up.